Imagine yourself as a cell in your vascular system. You’re part of a pipe that carries blood. But – all the oxygen on the red blood cells zooms by destined for far-away cells. It’s moving fast for you to use. So you’re like a fish – and breathe the oxygen dissolved in the water called plasma. Now lets imagine some stress that crashed the oxygen supply in your plasma. When the oxygen runs out, you switch anaerobic, and when the glucose runs out your metabolism crashes and you blow up like a water balloon. Now you’re a bloated cell in a pipe, just like your neighbors – and you and your now fat neighbors make a bottleneck that chokes down blood flow. Next, every cell you supply browns out – because you reduced the oxygen supply. The brownout will last until you recover. You’re vascular inflammation. The brownout is a group of cells with reduced energy because of reduced oxygen. Cells in the brownout area are still alive – they look normal on medical tests – except they’re in survival mode running at 1/19th power, making a lot of acid smog, in an area shadowed from the immune system . What do you need to recover? Simple oxygen. But You – yourself are blocking your own oxygen supply because you’re bloated. and only recover after some kind of super-oxygen event – if ever. So visualize unclogging a bottleneck made of ballooned cells. How would you do it? Simple… Squirt super-oxygenated plasma through the bottlenecked pipe. And here needs to be enough squirt power to for the oxygen to reach you. Without enough oxygen and squirt power – at the same time – it just won’t work. Step 2 – Exercise to your best heart rate to squirt plasma to your bottlenecks. Sounds like turbocharged exercise to me ? Call to book your Extreme Oxygen Therapy Session today! 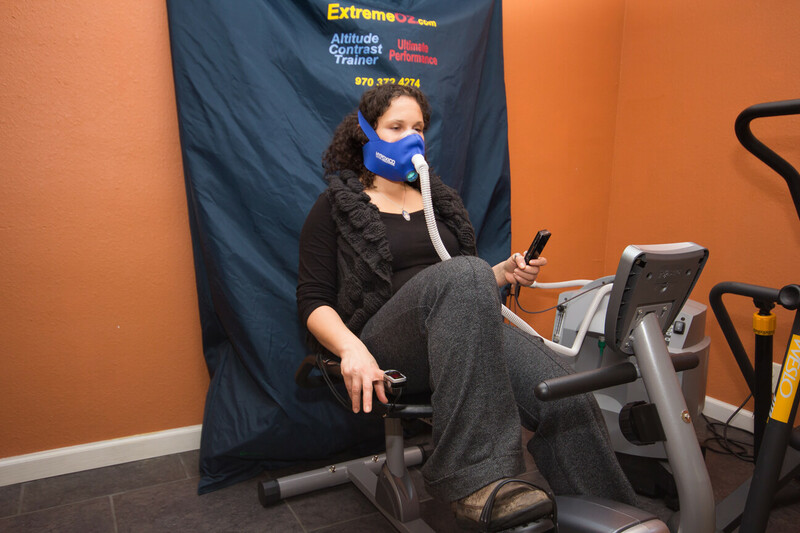 Pedal a stationary bicycle while breathing oxygen through a comfortable mask. Reduce inflammation… regenerate… rejuvenate!